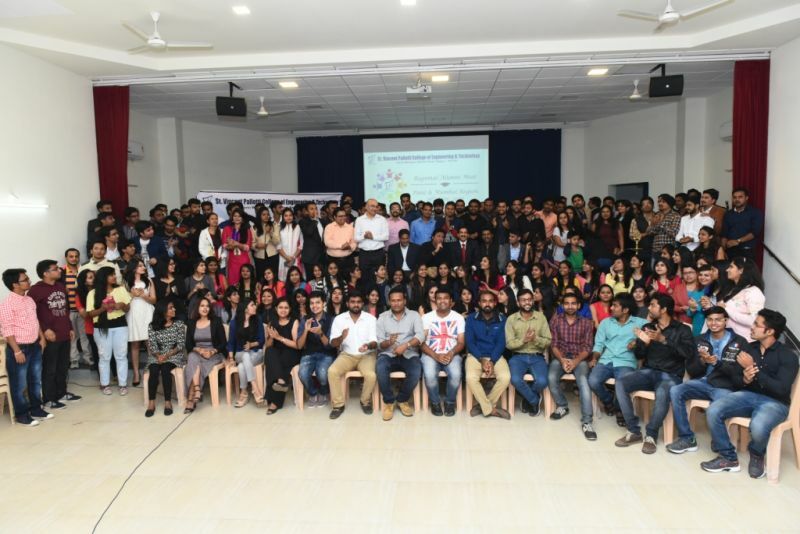 The regional alumni meet of St. Vincent Pallotti College of Engineering & Technology Reflections 2016Pune was organized at Pune on 26th November 2016 with an objective to expand scope and reach of alumni network through regional alumni meet; thereby forging long term relationships amongst alumni and Institute and to reinforce the sense of belonging towards the alma mater and spirit of fraternity among alumni by providing a common platform for social and intellectual interaction; and establishing channels for effective communication. In all 309 Alumni registered for pune alumni meet out of which 184 alumni (Total head count 256including spouses and friends) joined the meet. The welcome address was given by Master of ceremony Mr. Binu Joy followed by the lighting of lamp by Director SVPCET Fr. George, Vice-principal Prof R. B. Gowardhan, T & P In-charge Prof. Ashish Lawrence, Alumni Cell In-charge Prof S. S. Satputaley, Secretary Alumni Association Mr. Ajinkya Karandikar, Pune region coordinator Mr. Abhijit Roy. A prayer song was sung by Mr. Binu Joy and Ms. Raina Dsouza. Mr. Ajinkya Karandikar, Secretary Alumni Association delivered a speech on the goals and objectives of Alumni Association followed by the speech of Mr. Abhijeet Roy, Regional Coordinator Pune about Reflections and strengthening of Pune region. The video presentation of the all previous Reflections was done where all the alumni enjoyed their memories. Alumni were pleased to hear from Prof. Ashish Lawrence T&P coordinator who motivated all to work hard and enjoy life to the fullest. Vice Principal Prof. R. B. Gowardhan in his speech spoke about the 4th industrial revolution and how it will be of a disruptive nature. He also explained the formula e + r = o given by Jack Canfield in his book “The success Principals” which focuses on the way you respond to an event results in the kind of output you get. He had also given the brief information about the National Board of Accreditation (NBA) and its benefits to institute and alumni. He concluded, emphasizing the importance of alumni, institute and students working together in a collaborative fashion for the benefit of all stake-holders. Fr. George, in his address informed about the growth and achievements of the institute. He urged everyone to start their own companies and spoke about start-up companies and also how NBA will help in funding of start-ups and student projects. Alumni actively shared their thoughts & memories in open forum. All the alumni took the Techpallottine oath followed by the vote of thanks by Mr. Manmeet Sehmi 2009 CE pass-out. The married alumni with their spouses were felicitated, and the moment was celebrated by cake cutting ceremony which the couples had least expected. After the conclusion of the formal program, the evening ended with alumni, staff members and all the invitees joining for dinner. The meet was successfully coordinated by Alumni Cell Team. 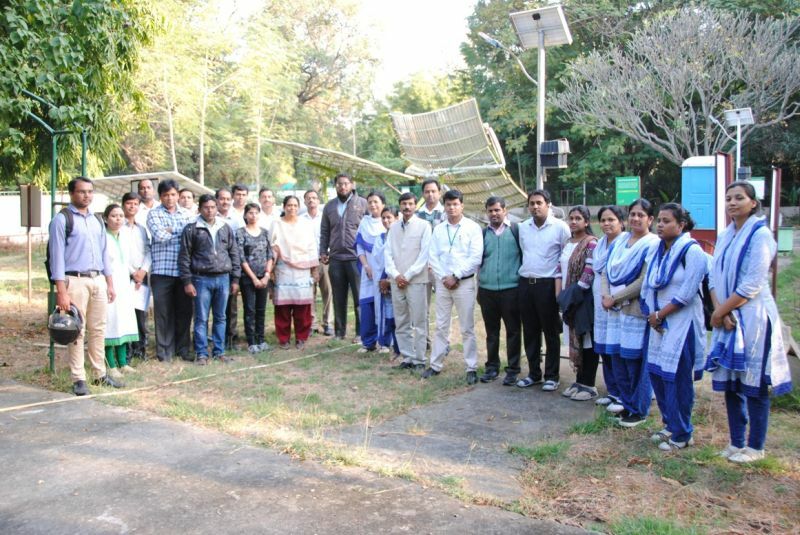 The Department of Electrical Engineering in association with The Institution of Engineers ( India), Nagpur Local Centre (NLC)organized a one week Short Term Training Program on ‘Green Energy Applications and Smart Industry Solutions’, from November 21st to 25th2016. The Chief Guest for the Inaugural Function was Mr.Ravi Panga, Vice President (Sales) Ashok Leyland, Chennai and Dr.DilipMase, Chairman IE(I), NLC was the Guest of Honor. 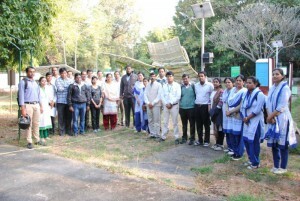 Field visits to NEERI, Solar Energy Park, Pench Mini Hydro (Navegaon) and Go VigyanAnusandhan Kendra (Devlapar) were organized benefit the participants withpractical knowledge and experience. Convenor of the STTP,Dr. (Mrs).J.P.Rothe expressed her gratitude to The Management, Principal, Vice Principal, Organizing Team and Participants for their support.